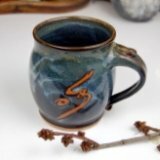 Parents and teachers find great pottery ideas to make for all ages of beginners from kids to grandparents. Tips for bowls and other clay ideas children will love to make. Everyone loves to get their hands in some pottery clay and use their artistic creativity. It's fun, it's challenging, and it allows you to express yourself in a new way. 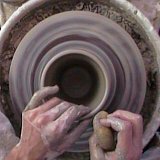 Whether you are looking for clay ideas to make on the pottery wheel or simpler projects to do by hand, you'll find a wide variety of ideas here. All of the tips and ideas are pages contained within this site. This is just an overview of the clay ideas available here. Please explore the rest of the site or use the Pottery Sitesearch to find tons more ideas for your pottery projects. The following are ideas to make on the pottery wheel. 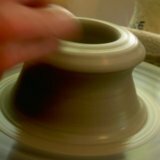 Bowls - Learn how to make ceramic bowls on the pottery wheel. Beginning Projects - Lots of clay pot craft tips to make including vases, mugs, super easy clay stamps, and mini pots. 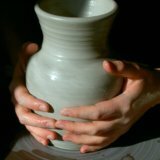 Intermediate Projects - Here are some more challenging pottery project ideas like adding handles to pots, building awesome ceramic bird houses, and even making handmade flower pots. Clay Pot People - Follow these step by step instructions for making your own clay pot person out of miniature pots. Here are a few very simple pottery ideas to make even if you don't have access to a pottery wheel. Coasters - These are a really fun, easy project that you can do with just a rolling pin and clay. The end result is a really nice, usable coaster. Homemade Clay - Here are some homemade clay recipes that you can make using everyday kitchen ingredients such as flour and salt. This is a really easy way to make a simple clay for young children to mold and then bake in your kitchen oven.